This CB1100 Concept was shown at the Tokyo show this year, and is believed to preview a next-generation CB1100. 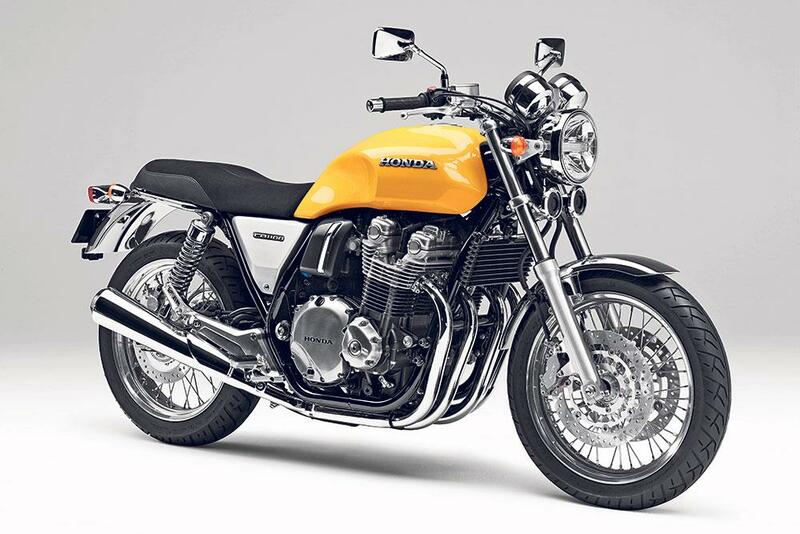 Easily the most subtle bike at the Tokyo Show – not hard given the eye-gouging offerings that surrounded it – the CB1100 was nonetheless significantly changed, showing an even more retro direction. Carrying over most of the mechanical parts, including the frame and engine, it has a more curvaceous fuel tank, aluminium-finished side panels and a tweaked airbox. The amount of black plastic is also significantly reduced, with a chrome headlight bowl and instruments, a chrome chain guard and a chrome tubular rail around the base of the pillion seat – all adding to the period flavour. The saddle, footrest hangers and exhaust are also tweaked. Also resurfacing within Honda’s press material recently was the CB Four prototype, which the firm first revealed in 2009. Visibly unchanged from that bike, it raises obvious questions about whether this is the rumoured 900cc version. The engine is very obviously smaller than the CB1100 unit, and also appears to have no cooling assistance beyond its fins, missing the oil cooler on the production CB1100 (and CB1100R concept). Even more heritage-focussed than the new CB1100 concept, it’s a blatant homage to the original 1969 CB750.